More than 7000 students in the U.S. become dropouts every school day, nearly 1.3 million students per year. Experts are now finding that the lack of adult mentoring is a major reason for the increasing dropout rates. When you really think about it, every student could use assistance and support during their education. Students could use help for various reasons such as support within an extracurricular program, honing skills needed to reach educational or career goals, or perhaps with emotional or behavioral tendencies that could have hidden root causes. Help can come from parents, teachers, coaches or even fellow students who go the extra mile as a mentor. Formal or mandated mentorship is more common and often the most accessible method. Randomly assigned pairings are common but often result in “less identification, less relational comfort, less motivation for mentoring, and ultimately less communication and interaction.” Some have attempted to improve the formal process by using questionnaires and face-to-face interviewing. Overall, the goal is supporting the student in becoming a contributing member of society through reaching their educational, career and personal goals. 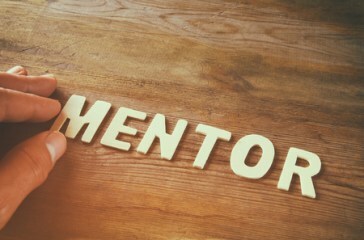 Matching a student with the right mentor is vital to a successful mentorship program! The student/mentor relationship can be a powerful influence in a student’s life long after graduation. Careful selection must be done to obtain harmonious and healthy relationships. Particularly for those students who are struggling academically and behaviorally. Mentoring programs should have clear guidelines to ensure appropriate relationships with clear expectations of the student and mentor. It may be fairly easily for you to imagine the list of students you want included in your mentorship program. Yet, when selecting students, according to New South Wales Department of Education and Training’s (NEA) Guidelines for Mentoring and Supporting Students, it is key that students voluntarily agree to participate in the mentoring program. While this might be a solution for many participants, it may not be for others. And increase knowledge of education and training opportunities and further education. The capacity to establish firm boundaries that will assist the student at school. The selection process should be closely monitored by principals and program supervisors. This is to ensure that the overall process is effective and will yield positive outcomes. At a more practical level, parental involvement also impacts youth participation. Research by David DuBois found that mentoring relationships were more likely to succeed in programs that reached out to parents as the match progressed, soliciting their feedback and addressing their concerns. Getting “buy-in” from parents can provide relationships with the stability and support they need to flourish. Thus, mentoring programs that can get parents involved in supporting their student’s long-term success. Related studies show that after the completion of a mentorship program, mentees showed significant higher grade point averages as well as lower absentee and suspension rates. Celebrating the achievement of student’s milestones is essential. Colorado State University employs a course called Campus Connections, formerly Campus Corps, matching at-risk youth ages 11 to 18 with an undergraduate who serves as their mentor for 12 weeks. Mentors and their mentees typically meet one night a week on campus and do activities together such as completing homework, going on walks around campus, eating dinner and practicing yoga with other mentor pairs in the program. Seth Butler mentored a high schooler while he completed his undergraduate studies at CSU and described his experience saying, “He was a wrestler and played football, and that was kind of where he deemed his success.” However, Butler says his protégé gained more confidence after the two of them worked on homework together and the high schooler saw how his grades improved. Mentorship can have a lasting impact on your students as well as those who mentor. Research programs in your area or consider developing your own. Are you already involved in a mentorship program or have participated in one before? Share below!